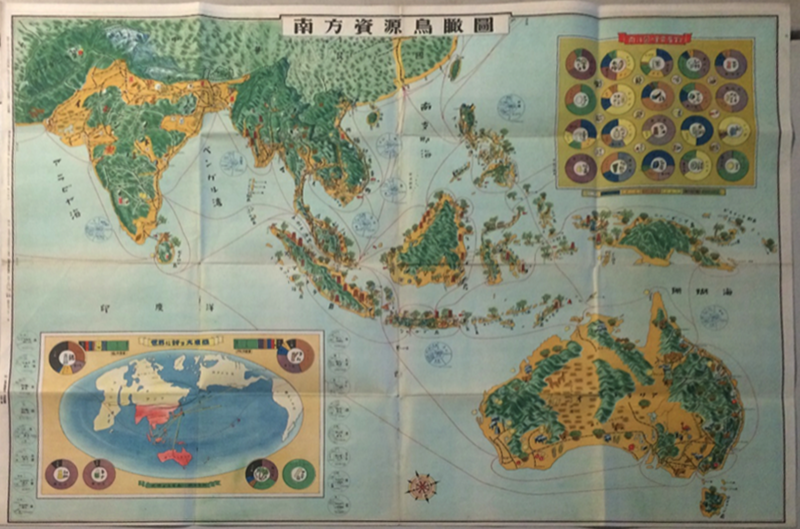 This map, published by Mr, HASHIMOTO in Tokyo for a private distributor, the Union Press Photo Bureau, shows the areas and the resources needed by Japan for basic survival and where they were located. The Dutch East Indes would be essential for much needed oil, while French Indo China would serve as a very important source as well. 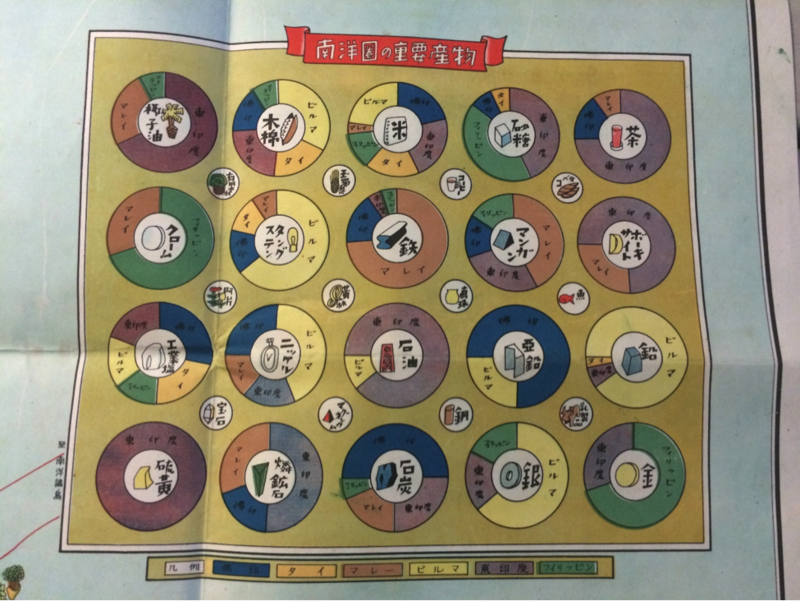 The Greater East Asia Co-Prosperity Sphere would be the method used to acquire these resources from neighboring countries.